If I Am Separated, But Not Divorced, How Does This Affect My Finances? 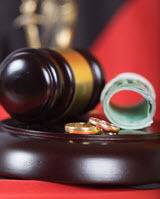 Many people do not realize that, in the eyes of the law, you are either married or divorced, and there is not a lot of “gray” in between these two classifications. In other words, if you are just separated but not divorced, there are a number of financial and tax implications you should be aware of, for both legal and tax purposes. Thus, if you are separated but technically staying married in order to benefit from health or tax benefits, you should still be aware of potential repercussions, as we discuss in greater detail below. If you choose to file a joint return, know that liability is joint and several. In other words, the IRS can come after either or both of you for any deficiencies, including your spouse failing to report all of their income. In addition, if you are separated but not divorced, inheritance rights are preserved. This means that, regardless of changes that you might make to your will, what is required, by statute, will be the default. Thus, for example, Florida abides by equitable distribution, meaning that marital property acquired during the marriage with marital funds is divided equally. In other words, your spouse still has rights and is entitled to a certain portion of the estate, whether you have a will or not. What many people do not realize is that a formal complaint for divorce is the only way to prevent a spouse from changing title to assets. This is because, when you file for divorce, an order is automatically issued prohibiting each spouse from moving money around. Do you have access to all of the relevant, important financial documents, including bank and brokerage statements, mortgage documents, retirement account information, tax returns, etc? Take a look at what your budget might be. Don’t try to figure all of this out on your own. Contact one of our experienced divorce and family law attorneys at the Arwani Law Firm, PLLC today to discuss your options, and how to plan ahead as much as possible for separation or divorce. There are important changes coming in 2019—including the elimination of the alimony deduction—therefore, delaying could only harm your circumstances.